Within hours of his arrival at a federal prison in West Virginia, gangster James “Whitey” Bulger was beaten to death by inmates Tuesday in an attack that marks the final, brutal chapter in the life of one of Boston’s most notorious villains. Two inmates were under investigation in the attack, including Fotios “Freddy” Geas, 51, a West Springfield Mafia hit man serving a life sentence for the 2003 slaying of the leader of the Genovese crime family in Springfield, according to several people briefed on the attack. The men were captured on video surveillance entering Bulger’s cell around 6 a.m., according to one of the people. It was about two hours later that Bulger was found beaten, with his eyes nearly gouged out, the people said. Bulger, 89, was convicted in 2013 of participating in 11 slayings while running a sprawling criminal organization in Boston from the 1970s through the 1990s. Authorities provided few details about the killing or why Bulger, who was serving a life sentence, had been transferred to the US Penitentiary Hazelton, just weeks after a Washington, D.C., congresswoman had called for an investigation into conditions at the prison, where two other inmates had been killed this year. Hazelton is a high-security prison in Bruceton Mills, W.Va., near the Maryland border, where tall brown grass grows by the side of the road. On Tuesday night, six officers, all of whom wore helmets and bulletproof vests, stood in front of two barriers that blocked off the meandering road toward the facility. In a statement, the US Bureau of Prisons said Bulger was found unresponsive at the prison at 8:20 Tuesday morning. “Life-saving measures were initiated immediately by responding staff. Mr. Bulger was subsequently pronounced dead by the Preston County medical examiner,” the agency said. No staff or other inmates were injured. Bulger had a long history as an FBI informant who provided information about his Mafia rivals to help protect his own violent criminal enterprise. To many, the circumstances of his death raised suspicions. “Obviously it is very strange he got moved from one federal prison to another and ends up dead 24 hours after arriving there,” said Michael Von Zamft, a prosecutor in the Miami-Dade State Attorney's office and part of the team that sent Bulger’s FBI handler to prison for murder. As of late Tuesday, no charges had been announced in the attack. Geas and the other inmate had been placed in lockdown pending the investigation, according to a person familiar with the investigation. Bulger had been sent to the West Virginia facility after a quick stop at an Oklahoma City transfer site. Before that, he had been incarcerated at a Florida prison for several years. His health had been declining, prompting speculation that he was going to be moved to a federal medical facility, according to a person familiar with his situation. Instead, he was sent to USP Hazelton. “He was sentenced to life in prison, but as a result of decisions by the Federal Bureau of Prisons, that sentence has been changed to the death penalty,” J.W. Carney Jr., Bulger’s defense lawyer in his federal trial, said in a statement. Relatives of Bulger’s victims expressed little sympathy for the mobster, and some said it was just that Bulger died a violent death. “There’s one less scumbag on this earth,” said Patricia Donahue, whose husband, Michael, was gunned down by Bulger along the Boston waterfront in 1982 while giving a ride home to the gangster’s intended target, Brian Halloran. Bulger was being held in the general population housing unit of the prison, according to the head of the union who represents workers at the prison. 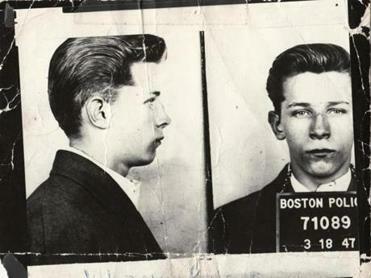 Billy St. Croix, whose sister was killed by Bulger and St. Croix’s father Stephen Flemmi, said he was surprised that authorities would place Bulger in the general population at a prison where Mafia members and associates were incarcerated. St. Croix said he and his mother felt sorry for Bulger’s family. The prison has come under scrutiny in recent months. An inmate was killed in a fight in September, and another inmate was killed in a fight in April, according to the Associated Press. Richard Heldreth, president of Local 420 of the American Federation of Government Employees, which represents union workers at the prison, said the prison usually averages one murder a year, but problems have been getting worse. “This facility is severely understaffed,” he said. Earlier this month, District of Columbia Representative Eleanor Holmes Norton called for Department of Justice Inspector General Michael Horowitz to investigate “the alleged appalling conditions inmates are facing” at the prison. After a federal jury convicted Bulger in 2013, he was sent to a high-security penitentiary in Arizona but soon ran into trouble because of an inappropriate relationship with a female psychologist who was counseling him. In 2014, he was transferred to US Penitentiary Coleman II in Sumterville, Fla. He remained there until last week, when the recent transfers began. It’s unclear why he was moved. One person familiar with the situation said Bulger’s health had declined, but another said he had also had disciplinary problems in Florida. The West Virginia prison is not a medical facility. Bulger fled Boston just before his January 1995 racketeering indictment and was a fixture on the FBI’s 10 Most Wanted list until his capture in Santa Monica, Calif., in 2011. He and his girlfriend, Catherine Greig, had spent 16 years, passing themselves off as a retired couple, living in a rent-controlled apartment blocks from the beach. Enrique Sanchez, who was maintenance supervisor at the Princess Eugenia complex where Bulger lived, said he was saddened by the news of Bulger’s death. Sanchez said he last heard from Bulger when Bulger wrote to him from prison in Arizona, saying he had been stabbed by other inmates, Sanchez said. Sanchez said he tried writing him several times after that but the letters always came back. On Tuesday, Sanchez learned from his son that Bulger had died. Brian MacQuarrie, Maria Cramer, John R. Ellement, Travis Andersen, Emily Sweeney, Matt Rocheleau, Martin Finucane and Jess Bidgood of the Globe staff contributed to this report. Shelley Murphy can be reached at shelley.murphy@globe.com. Follow her on Twitter @shelleymurph. Kevin Cullen can be reached at kevin.cullen@globe.com.